Here at Food52, we all have cookbook collections -- and we are not talking about those dainty stacks that our New York apartments were designed to hold. If you are anything like us, there are books toppling out of the shelves, placed sneakily under the toaster, and covering the coffee table. And even with no space left, you're still eyeing those Piglet contenders. Which books have you been holding onto, cooking from, and buying up? Do you still make recipes from the first cookbook you received for Christmas 25 years ago? Are you scrambling to find room for all the Piglet nominees? Share with us in the comments below? My newest cookbook is (surprise!) Plenty More and I'm in love with it. My most loved one is a binder full of magazine and newspaper recipes that my mom and I compiled when I was a kid. While I don't cook much from it anymore, it contains gems like a misspelled "Apitizers" section and this insanely rich lemon linguine. There is also an entire dessert binder because I have my priorities. My oldest is The Pear Tree, a spiral-bound cult-classic from 1984, published by the Junior League of Knoxville, Tennessee. I think it was the first one they ever published, and my copy (gifted to me by my mom only when I proved to be a half-decent cook) is splattered, dog-eared, and much beloved. You don't want to know what's in these dishes when you eat them (from mayo to Crisco to margarine), but they are always crowd-pleasers. My oldest cookbook is one my grandmother gave me before I could even read, let alone cook -- a "self-published," carefully-bound collection of her own recipe cards that included classics like Deep-Fried Love Knots and a lot of Crisco. My most loved, right now, is Gabrielle Hamilton's Prune, and I have been steadily cooking my way through it, one extremely large batch of vinaigrette at a time. 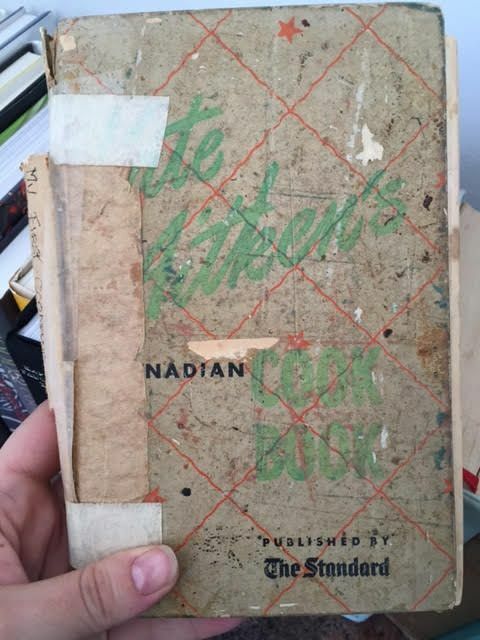 My oldest and most loved is my grandmother's copy of Kate Aitken's Canadian Cookbook for so many reasons. Especially the inscription from my grandfather below. My grandmother was an admittedly terrible cook and on this birthday thought she was getting a new necklace. My newest, which I'm still obsessed with, is Japanese Farm Food. 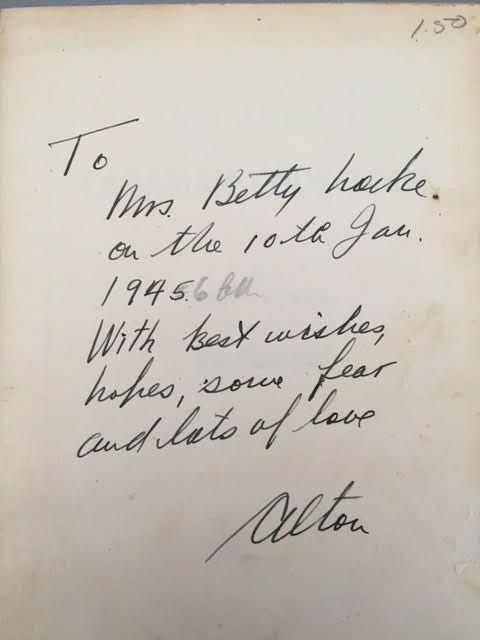 "...with best wishes, hopes, some fear and lots of love"
My oldest is The California Heritage Cookbook produced by The Junior League of Pasadena in the 70s. My mother-in-law was so excited to send me a battered copy she came across in a used bookstore. It's in this cookbook that she found the recipe for "Tahoe Brunch," an insanely rich breakfast casserole of white bread (which my M.I.L. calls "rubber bread"), pounds of spicy Italian sausage, and enough butter to make Julia Child blush. It is a holiday tradition that no one is allowed to question. In fact, I'm fairly certain if her sons didn't wake up to the smell on Christmas morning it would cause a riot. My weeknight standby is Jeanne Kelley's Salad for Dinner. My oldest is Better Homes & Gardens Salad Book from 1958. My newest is Nigel Slater's Tender. My most loved is Vegetable Literacy. My oldest is Meta Given's Modern Encyclopedia of Cooking. I had always coveted my mom’s set, so when I found a pair at a vintage store I snapped them up. I have been using the amazing pie crust recipe ever since. My newest is North: The New Nordic Cuisine of Iceland; let's just say I have a thing for Scandinavian food. 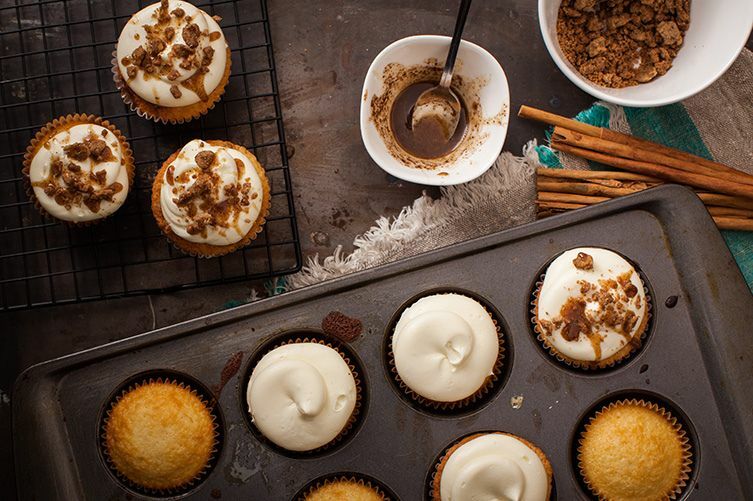 My most worn is Vegan Cupcakes Take Over the World, which I have been using since I moved away to college and became a vegan. I no longer abstain from meat, but I still turn to this cookbook for easy-to-make cakes that don’t require a mixer -- only now I use dairy. I'm answering in honor of my father, Food52 lover and impart-er of endless food wisdom that he is. 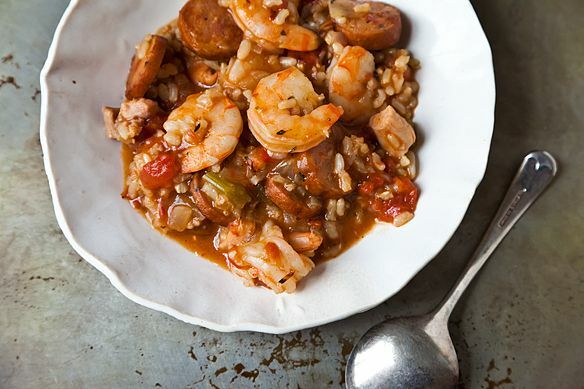 My most loved is Chef Paul Prudhomme's Louisiana Kitchen, as we eat from it far more than any family probably should. The cover has always made me uncomfortable (a laughing man surrounded by piles of indistinguishable brown meats? ), but, man, NO ONE does Cajun/Creole cooking like PP. Runner up goes to The Thrill of the Grill. It is the Davisson family's essential summer cooking bible. My oldest is a book I found in a stack of books on a library cart next to the dumpster when I was in school -- it was chock-full of gems, but my favorite was The Grocer's Encyclopedia, published in 1911. It has some great information, which is, surprisingly, not horribly outdated. Best of all, it has these crazy detailed drawings of all kinds of meat, fish, produce, nuts, etc. My most loved is a really tattered old copy of Stocking Up, my mom and grandma's favorite canning book. Also Great Pies and Tarts by Carole Walter. It was my first bible when it came to fruits nestled in flaky crusts and is completely spattered with strawberry juice. My newest is Flour + Water, a cookbook about making your own pasta that I got for Christmas. I'm still waiting for the day I feel gutsy enough to tackle the recipes and the pasta maker that came with it. My most loved cookbook, the one I will treasure, the way my mother treasures The Joy of Cooking, is Amy Chaplin's book, At Home in the Whole Food Kitchen. Everything from her nourishing and delicious recipes to the way she tells her story resonated with me so much. If I'm not cooking with it, I'm reading it! My oldest and most worn is Klutz's Kids Cooking. It came with teaspoons and Santa brought it to me in kindergarten. I've talked about it before, but my mom let me make anything I wanted from that book and it's led to a lifetime of weird kitchen experiments. It's also my most-worn book. I don't use the recipes much anymore, but it's been through a lot. The recipe for playdough is covered in dried playdough bits. 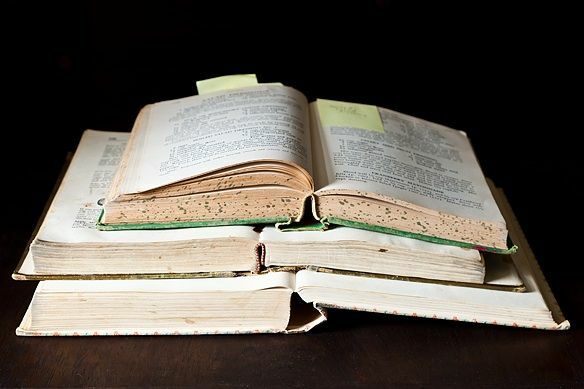 What are your oldest, most worn, and newest cookbooks? Share with us in the comments below! Here is a beautiful blog by Aimee Ellingsen "Top 10 Cookbooks from My Last 20 Years Cooking", which I enjoyed reading. (And at the very end 'Genius Recipes' book by Kristen Miglore is also included among Aimee's Top Cookbooks list under "Very Honorable Mentions"). most worn: the joy of cooking (it's in two pieces--i learned to cook from this & the new basics, still go-to's) most loved: a collection of my grandmother's recipes my aunt put together as christmas gifts seveal years ago; most used: frank stitt's southern table, dorie greenspan's around my french table & several junior league cookbooks; newest: donald link's real cajun. My oldest: TheFannie Farmer Cookbook. I have the thirteenth edition, published in 1979. Original publication was 1896 under the title "The Boston Cooking School Cookbook" by Fannie Merritt Farmer. This was the first cookbook my mother gave me and it is perfect for the basics. I refer to it all the time. My newest: From Asparagus to Zucchini: A Guide to Farm Fresh Seasonal Produce or "What do I do with what I got in my CSA box this week??" My most loved: That's a tough one. I think perhaps The Angelica Home Kitchen, from the long-standing vegan East Village NYC restaurant, Angelica Kitchen. A great resource for vegetarian cooking. Oldest: Betty Crocker's Cooking for Kids when I was...8? 10? From Grama, 50 years ago. First 'grown up' book: B&H's Classic Red Plaid, first rc'd at 18, but I now have my mom's (1956), and the 75 yr Anniversary issue too. Most recently purchased: Barbara Kafka's Soup, a Way of Life '98. Most treasured: Edna Lewis's A Taste of Country Cooking. I looked for years for a copy in excellent condition (didn't want to buy online) and finally found one at Powell's, the greatest used bookstore on Earth during a visit to Portland. Most used: That's a tough call. I mostly read cookbooks like novels, and then wing it for meal dishes. I do use Jim Fobels Old Fashioned Baking Book (the old fashioned gingerbread is my favorite cake EVER) and The Cake Doctor because baking isn't my strong point. Favorite: All of them. But I need another bookcase! My oldest (meaning, the one I've had longest) and most worn cookbook is probably my Pillsbury Best Cookies Cookbook, which was a gift from my grandmother when I was a kid. I didn't appreciate it as much then, because I wasn't much of a baker (I preferred the role of taste tester), but I appreciate it so much more now. My newest (and most treasured possession) is actually older than I am, but I received it this past Christmas. It's a copy of Julia Child & Company that was signed by Julia & Paul Child. This one in particular was pulled from Jacques Pepin's personal collection. It was the most wonderful Christmas gift I ever received from the man who will most certainly be my future husband. My first: Betty Crocker's "Cooking for Kids"
I was wondering if that Betty Crocker Kids book would pop up on any list but mine, lol. Loved it, although I don' use it anymore. Oldest in terms of my cooking: The Fannie Farmer Cookbook (1984 edition), this was the cookbook I used in my first apartments during and after college. Most loved: Julia Child's Mastering the Art of French Cooking. Or maybe Julia Child's The Way to Cook. ... and of course Marcella Hazan Essentials of Italian Cooking! Two of the oldest cookbooks that I still love are The James Beard Cookbook and A Treasury of Great Recipes co authored by Vincent Price! My newest are the Ottolenghi cookbooks which I adore. Have not yet added Plenty More! Oldest: 1969 edition of The Joy of Cooking given to me by my mother on my 13th birthday. Odd choice in a way since we are British. I don't use it any more but I won't ever part with it since it was the start of my huge cookbook collection. Newest: Baking Chez Moi by Dorie Greenspan. Everything I have made from this has been fantastic. I made a pink grapefruit tart yesterday which was one of the best desserts I have ever made. Most loved: Oh so hard - Ottolenghi or Nigel Slater? But I think it has to be Cook This Now by Melissa Clark. Such a useful book with wonderful recipes. My oldest I got in '69, I was 10, my only present that year for Christmas because we drove from CT to FL to visit family. Betty Crockers Cookie Cookbook. I flip through it every once in a while. Newest, this year's Christmas, Thug Cookbook, I've tried a few recipesso far so good! Most loved is. Cookbook from my Sister-in-law hand written on the occasion of my wedding. With the inscription "cooking is an act of love", my children both have their own copies of 'family' recipe books while mine continues to lose pages. Time to make copies! My oldest: "Mrs. Ellis' Complete Cook" circa 1867 is filled with simply written, weird (by today's standards) recipes. It was the cookbook that inspired me to start blogging. Specifically, it was the pie crust made with chicken fat recipe. There are also pages devoted to home remedies and making natural dyes. My newest: "Tupelo Honey: New Southern Flavors from the Blue Ridge Mountains" is a collection of mountain south recipes. I'm a southerner living in Maine, so this cookbook's food is just the ticket for instant relief when I'm feeling homesick. It is filled with comfort food, after all. Most loved: I know it's cliche but Julia Child's "Mastering the Art of French Cooking" is my favorite. When I finish preparing one of her recipes, I truly do feel like a master chef because everything is SO. GOOD. and most recipes feel like they take an entire day to make! Labor of love, friends. My oldest is James Beard's NYTimes Cookbook, Newest is Dorie Greenspan's Baking Chez Moi, and my most used is Deborah Madison's Vegetarian Cooking for Everyone. It is splattered and falling apart. I've made a million dishes from that book and not had a single dud. My oldest is a Swiss cookbook from the 70ies full of truly horrifying recipes. My mom gave it to me when I moved out - guess she was glad to get rid of it! My newest are a new edition of the Escoffier bible and Modernist Cuisine at Home. The latter has simultaneously become my most loved one, along with NOMA, Modernist Cuisine and Eleven Madison Park! My oldest cookery book dates from 1724 and is called The Compleat Housewife. It is an absolute treasure. It is written by Eliza Smith in England. Other than that I've got a first edition of one of Elizabeth David's books, a few more 18th century books and a couple of 19th century books. I love the history that comes with these books, they have been well used and loved by those who owned them before me. I have the "Joy of Cooking" from the early '70's, a wedding gift. It's very well worn, stained and has the burned imprint of the stove burner on the backside. A very dear friend. In the top photo, what is the green covered cook book on top? I think that's one that my mom had (lost in a flood) and it had the BEST Bread Pudding!!!! Joy of Cooking. My book is literally falling apart. I was gifted this book my senior year in high school before going away to college. I didn't cook that many of the recipes, but as a reference guide it was indespensible. The internet didn't exist back then, and so I turned to Joy to understand substitutions, ingredients, and terms like "braising" and "emulsify", basically everything I needed to know when trying to follow some other recipe. Joy's peanut butter cookies and angel bars are still the best. My oldest are definitely the most worn - my grandmother's 1927 "Boston Cooking School Cook Book" by Fannie Merritt Farmer and 1922 "Four Hundred Favorite Recipes" by the Home Economics Committee of the Webster Woman's Club. Grandma lived on a farm in northern Maine, where she raised, butchered and grew most of what my dad ate, and she taught my mom to cook after my parents were married. My personally most used is my own version of Fannie Farmer, given to me in 1982 when I finished high school. My favorite is "West Coast Cooking" by Greg Atkinson - living in Seattle, I love the way he has embodied the region into stories and the food that comes out of the recipes.